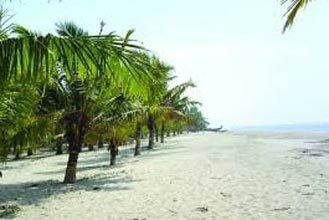 You will embark on a wonderful tour of Kerala. He was transferred to a hotel. You will stay for two nights in Cochin. This place is blessed with natural harbors along the coast of Arabia. He has done an incredible heritage of syncretism of different cultural influences. Cochin is the first European settlement in India. Europeans Britain, France and others came much later during the centuries 15 and 16. The Romans arrived in Kerala and in the third century. There is an oldest church in Kochi. After breakfast, we drive to Periyar Cochin. It takes five hours to get there. Arriving there, he checks into a hotel for two nights. It is richly endowed with natural scenic beauty. You might get to see the majestic tea gardens, coffee and spices. You will visit the wildlife sanctuary of Periyar, which has great flora and fauna. Dinner and overnight at the hotel. After taking your breakfast, you will embark on a boat ride on Lake Periyar for game viewing. Periyar is exciting travel destination of Kerala. You might get to see different animals and birds like elephants and deer. A walk through the forest with birds happy and rich aroma of the trees is really exciting. Dinner and overnight at the hotel. After breakfast, we drive to Kumarakom. It takes about four hours to get there. You will stay for two nights in Kumarakom. Kumarakom is exquisitely beautiful place that borders with Western Ghats and flow of the Vembanad Lake and paddy fields Kuttanad. At Kumarakom, you will see vast expanse of standing water, flowing green rice fields, rubber plantations, etc. has been blessed with unique feel that is characterized by its own. Dinner and overnight at the hotel. This is day 5 of his fantastic voyages of Kerala. There are trips planned for that day. The day is fully reserved for leisure. It is a day for independent activities. No cars reserved for the day. After breakfast, you will embark on the unity of Mararikulam. It takes two hours to get there. Arriving there, he checks into a hotel. Mararikulam is a small fishing village. Time seems suspended here as the place has not changed over the decades. In the morning, the men go to fish in the sea, while women stay behind and do all the housework. This postcard village has great sandy beaches. This town definitely timeless rejuvenate with new vigor and melt tensions and worries. This is the seventh day of the Splendors of Kerala tours. It is entirely reserved for leisure. Enjoy the leisurely pace of life lived by most people in this small town. No cars booked, scheduled or no activity. This day for independent activities. After breakfast drive to Cochin to Mararikulam. It will take two hours. 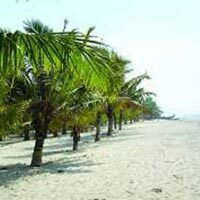 After arriving at Cochin, transfer to the airport for your trip. End of fantastic voyages of Kerala.